Windward is a PC title for schooner and galleon lovers who need the kind of open-ended world only the open seas can offer. To answer the call, this game provides an entire procedurally-generated world for you to explore as you see fit. And you don't have to do it alone. 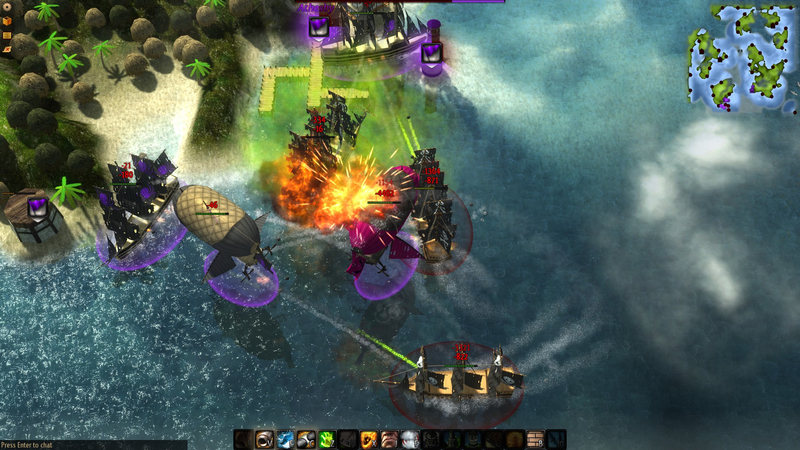 Windward is a journey designed to be undertaken with friends. Create a faction and see how much harm you can do in its cross-platform multiplayer competition. After you set sail, you will do whatever it is sailors or pirates generally do with ships. If you see a boat that isn't part of your faction, shoot it and take the loot. Then head to the nearest port and see how much gold you can get for your goods. Just because you're okay with plundering doesn't mean you can't take part in plain vanilla commerce as well. Accept some quests, upgrade your ship, and off you go. The longer you play and the further you get from the starting point, the more progressively difficult the game becomes. AI ships must explore the world just like players before they know what's nearby. Some foes will put up a difficult fight. Others may flee. Some may choose to follow you as allies. The game has been available on Steam for a few years, and reviews are mixed. The Play Store price is $10, which is quite a bit of gold to come up with before you depart.